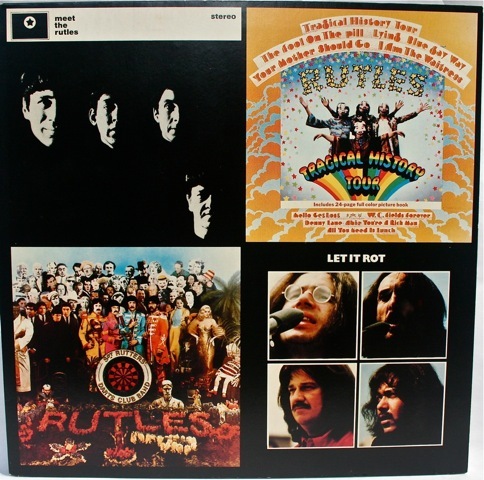 The Rutles are a legend. A living legend. A legend that will live long after other living legends have died. This is the semi-legendary story of the Prefab Four who made the sixties what they are today! For such a huge cultural phenomenon the Beatles have attracted surprisingly few parodies and send-ups over the years. 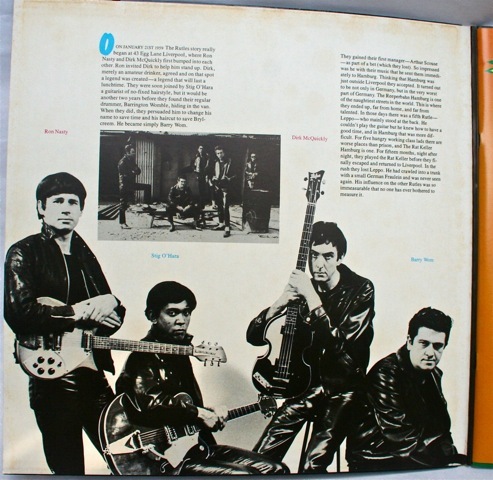 That is until The Rutles came along….. 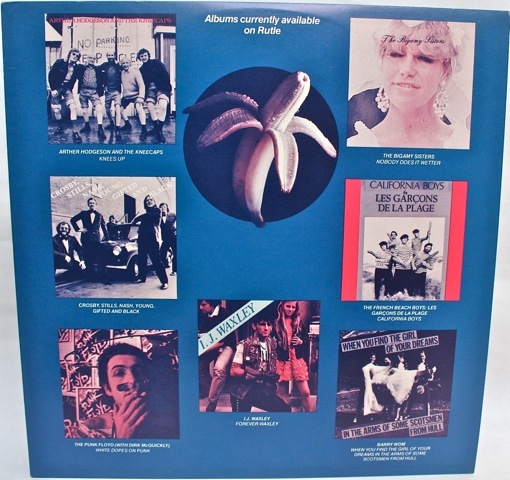 Created by Eric Idle and Neil Innes for British television, The Rutles first appeared in 1975 as a sketch on the BBC TV comedy series called Rutland Weekend Television. 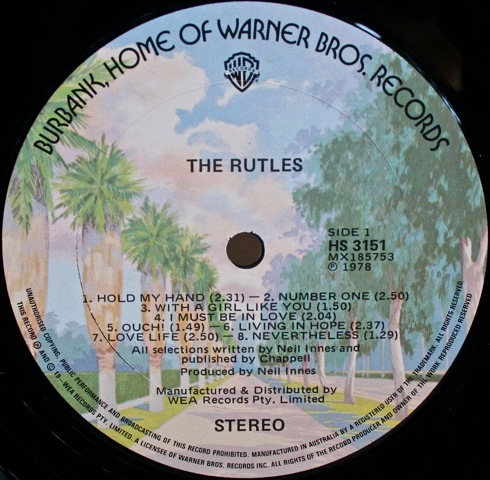 The sketch presented a mini-documentary about the 1960s band “The Rutles”, and featured Innes singing “I Must Be In Love”, a pastiche of a 1964 Lennon-McCartney tune. 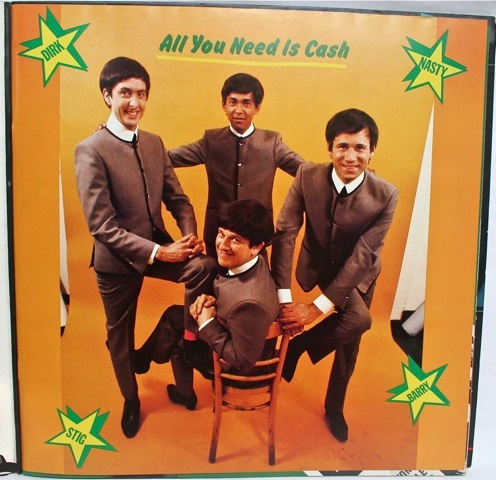 The Rutles gained more fame after their 1978 mockumentary television film, All You Need Is Cash (in which George Harrison actually appears). 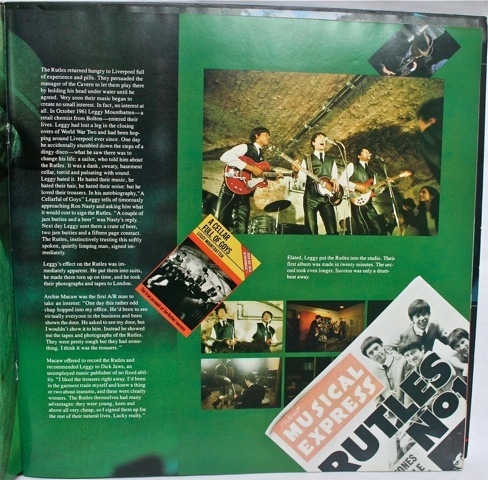 The Rutles LP is the soundtrack album from that film and it contains 14 of the film’s 20 songs. What we have here is the US pressing. 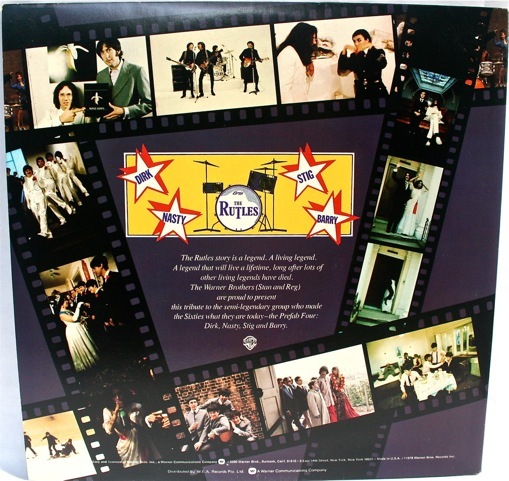 Released on the Warner Brothers label in 1978. 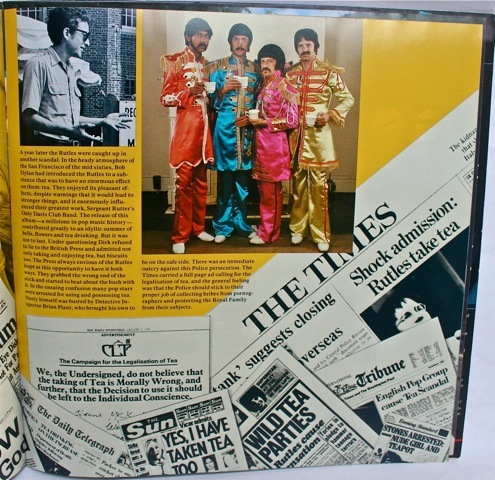 This entry was posted in Beatles, Beatles Collecting, Beatles Music, Beatles Related, George Harrison, Rutles and tagged Beatles, Beatles Collecting, Beatles Related, Music, Rutles, The Rutles by beatlesblogger. Bookmark the permalink.